Home Archive by Category "Eighteen97 News"
Christmas is coming and Eighteen97 gift vouchers make the perfect present for your loved one. 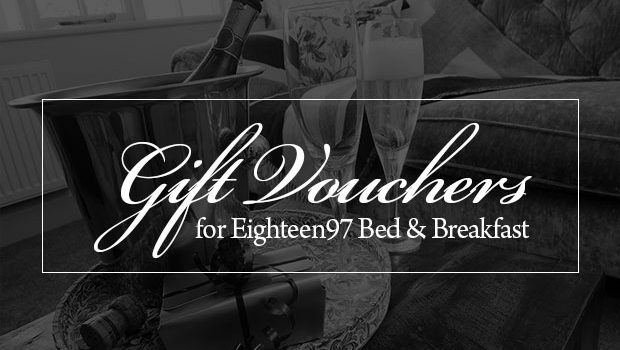 Eighteen97 gift vouchers take the hassle out of Christmas. Don’t worry about that special gift for your mum, dad, grandma, grandad, in-laws or best friend, our gift vouchers are available for any amount from £50 upwards. And we will even print your very own personalised message on the voucher just to show how much you care. Gift vouchers are valid for a whole 12 months and can even be used against our special offers too, including our winter weekend 20% off and ever popular winter 3 for 2. They are even available to use on special event and bank holiday weekends. It is an incredibly flexible gift and can be added to for extra nights and can be used against the room of choice, subject to our availability. Any stay using a gift voucher is assured of the same 5 star relaxed service and fabulous award winning breakfast, so what is not to like! To arrange you extra special gift voucher just call us on 01947 896 317 and we will arrange the rest and post your voucher out to you or the recipient by first class mail. Don’t delay, arrange that Christmas present today and of course you can always buy more than one! Gift vouchers are subject to our terms and conditions, minimum stay and can only be redeemed on direct, telephone bookings. No monetary alternative can be given. standard cancellation terms apply. Looking for that luxury weekend away in your very own 5 star boutique B&B? Ideally situated in the #northyorkmoors and so close to the coast at Whitby. You have found in here at Eighteen97. For a great rate on weekend late availability book direct on this website of call us on 01947 896 317 for the very best price. The longer you stay the more you save! Prices from as little as £85 per night for 2 persons including our award winning breakfast. Stay in a 5 star accredited, kingsize room with luxurious ensuite and garden or spoil someone with our master suite complete with it’s own private sitting room area and soothing moorland view. All come with our relaxed and friendly 5 star service. Do ask about October midweek availability weeks commencing 9th and 16th for our very best rates when booking direct too. To check current availability click here or call us direct on 01947 896 317. Book your winter 3 for 2 break at Eighteen97 B&b in Goathland near Whitby. Our 5 star boutique rooms are available from just £220 for a 3 night stay for 2 persons inclusive of our award winning breakfast. How can you resist! It’s never too soon to plan your Autumn break. Enjoy the relaxed pace of life and the serenity of the Yorkshire Moors and Coast this Autumn and take advantage of a great 10% reduction on standard tariffs when you stay at Eighteen97. Just enter the promo code AUTUMN17 when you book direct online now. Minimum 2 night stay. Valid Sunday – Thursday but may include Friday / Saturday at standard tariff. Valid from 1st September to 31st October 2017. New bookings only. But hurray, this offer is limited and when they are gone they are gone! Only available via direct bookings online or telephone bookings by calling 01947 896 317. Looking for peace, relaxation and somewhere to escape this August? You have found it, right here at Eighteen97 B&B! Explore the wonderful North Yorkshire Moors and Coast, enjoy complete relaxation at Eighteen97 and create a getaway to remember. Wonder at the miles of moorland and coastline, breath in the fresh air, bask in the long sunny days and listen to the silence. Return to the luxury of your 5 star boutique bedroom and feast on an award winning breakfast to remember. Want to book? Then call us on 01947 896 317 or click the ‘book now’ button here or above. Remember – we reserve our very best rates for those who book direct. So enjoy free parking, free wi-fi and a very special August discount when you book direct today. 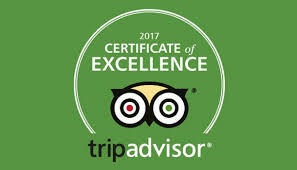 Eighteen97 B&B has again been awarded the Tripadvisor Certificate of Excellence. A very big thank you for all our lovely guests who have taken the time to post a Tripadvisor review since we opened in August 2014. This week we have again been awarded the Certificate of Excellence Award to go along side our Travellers Choice Award and are currently ranked 1 of 1461 B&Bs in North Yorkshire. Wow! A very very big thank you to all who have reviewed us, we could not do it without you. Hurry, grab our great July and August promotion giving you £20 off every booking made before 1st July when staying before 31st August. 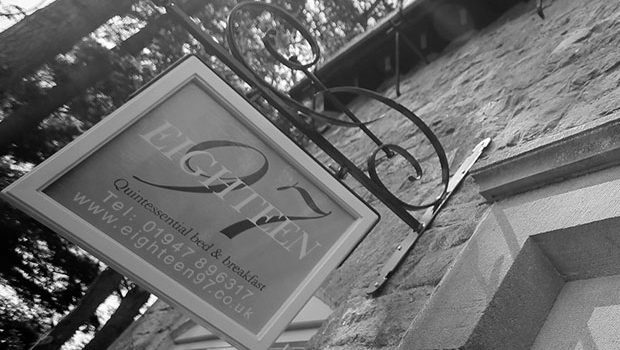 Treat yourself to a 5 star luxury boutique B&B break at multi award winning Eighteen97 in Goathland, Whitby, North Yorkshire. How do you secure this great July and August Promotion? Just click this ‘book now’ button or click it in the top right of every page on this website and enter the code JA20 in the promo code box . If you prefer to talk just call us on 01947 896 317 and quote JA20 to secure your July and August promotional price. 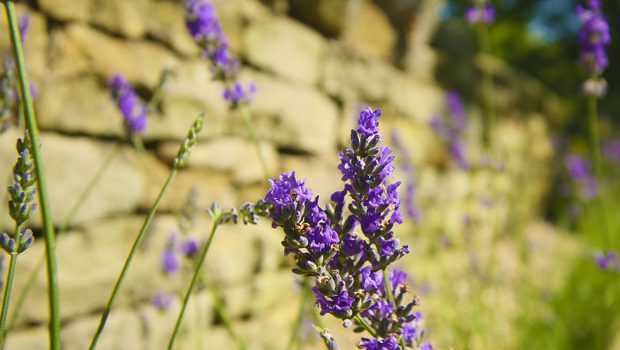 And there is so much to see and do in the area, but don’t take our word for it do check out whats happing on the North Yorkshire Moors and Coast this summer. We can’t promise the sunshine everyday, although it’s looking pretty good, but we can always promise you the best B&B in the area and the best possible rate when you book direct with Eighteen97. Remember your July and August Promotion code! Don’t forget to grab your July and August promotion and save £20 at Eighteen97 , just quote JA20 when you book before 1st July and stay by 31st August. How about a last minute luxury escape? Our stunning Elgar suite is available for a 2 night stay from Monday 19th June at an amazing last minute price of just £100 per night! 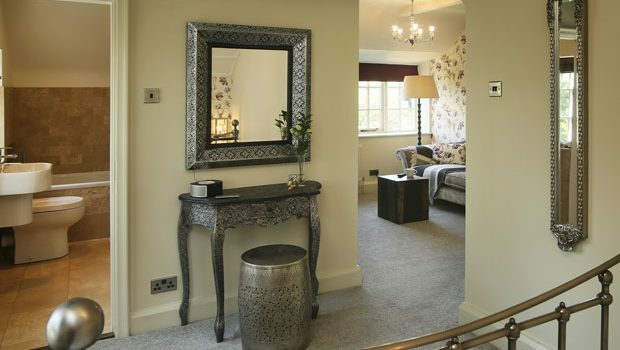 Relax on the sofa in your very own sitting room area, soak away your stress in the deep bath and sink into your oh so comfortable kingsize bed. It’s easy when you are enjoying a 5 star stay at multi award winning Eighteen97. Call us on 01947 896 317, direct telephone bookings only, it’s the only way to secure this great rate. Have you booked your Spring or Summer break yet? Grab a fantastic 3 night offer at 5 star luxury boutique Eighteen97 B&B in Goathland #northyorkmoors. As our Spring and Summer diary books up we are able to offer selected dates with a great saving of at least £10 per night off standard room rates. All our prices include our award winning breakfasts and our usual relaxed and happy 5 star service. Dates for this fabulous offer are limited and full details can be seen on our special offers page, click here but here is a sample of available dates below. And don’t forget when they are gone they are gone so don’t delay, book today! 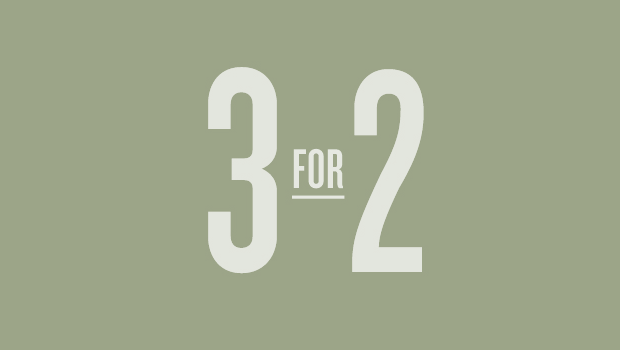 This 3 night offer is only available via direct booking on this website or by calling 01947 896 317. Wow, we have 200 Tripadvisor reviews, all rating us 5 star, excellent! What more can we say but a massive thank you to everyone who have contributed and helped rate us so highly on the Tripadvisor site. In both 2016 and 2017 we were truly honoured and humbled to receive the Tripadvisor Travellers Choice Award, placing us in the top 1% of all B&B’s. Lots of our lovely guests have posted multiple reviews and it is so nice that we welcome many of you back again and again. So what a privilege that our 200th Tripadvisor review was from a returning guest who titled their review ‘Perfect’. And their only complaint….‘The only problem is that you have to leave it all behind and go home. Then you start planning when you can visit again.’ What a great problem to have, we hope to welcome them and lots more of you back to Eighteen97 soon.